For a family with such a huge literary name and such a unique story, the Brontës have been portrayed on film surprisingly rarely. A 1946 movie titled Devotion cast Olivia de Havilland as Charlotte. (Olivia's sister, Joan Fontaine, had played the title role in the 1943 Jane Eyre movie.) A French production, Les Soeurs Brontë [The Bronte Sisters], was released in 1979. I've seen neither but hope to remedy that situation soon. In 2016, word of the BBC filming a made-for-TV drama near Haworth spread among Brontë fans. That two-hour film, To Walk Invisible: The Brontë Sisters, debuted in the UK in December of that year. The first U.S. showing came on PBS, as part of its MASTERPIECE drama series, on March 26, 2017. As the proprietor of this website, I was fortunate enough to be offered a preview DVD of the film. Here are my thoughts about it. The writers and producers clearly strove to make this story quite lifelike. Viewers can feel how constricted Anne's, Emily's, and Charlotte's lives are, both figuratively (as women in a patriarchal society) and literally (they are generally confined within the parsonage except when they go traipsing about the moors). Charlotte's physical appearance is a bit of a surprise. With dark hair pulled back tightly, a pair of small spectacles perched on her nose, and [usually] a severe expression, she is the embodiment of a repressed spinster. In paintings and drawings, she was generally depicted as plain but not so intense. Inhibited Charlotte is contrasted with headstrong Emily, while gentle Anne forms a buffer between those two extremes. I found Emily's willful yet caring persona the most enthralling to watch. In light of the tragedies this family endured, it is hardly an upbeat film. After some scenes of a boisterously cheery childhood, much of it is spent observing their struggles with brother Branwell's dissolution and downward spiral. He gets fired, he drinks, he argues with their increasingly frail father, he falls ill, he threatens to kill himself unless given a shilling to fund his next tavern visit. I found myself wearying of watching his antics — until it occurred to me that his debauchery and failure must have seemed endless and wearying to his sisters and father as well. Happier moments do crop up, as they did in reality. 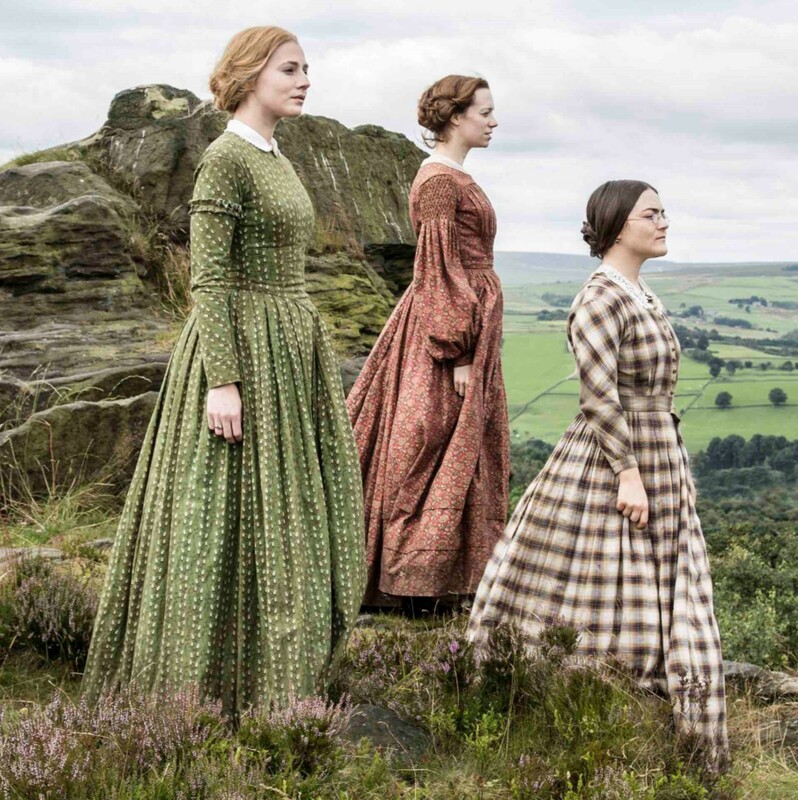 Surely it will be no surprise for viewers to see that after some rejections the sisters get their work published, and that Jane Eyre is a smash. This golden era didn't last long, as indicated by onscreen notes at the end. We are spared seeing the sisters' untimely end. Let me comment on the production itself. While I'm no expert on mid-19th-century England, the set and costumes accurately evoke what I imagine that time was like. A replica of the parsonage, built for this production, also appears lifelike. In short, To Walk Invisible shows how childhood creativity, strong familial bonds, and a yearning to burst the fetters of social convention all combined to produce a remarkable literary family. Their lasting influence is reflected near the end of the film, as viewers get a glimpse of happy modern-day travelers enjoying the exhibits at the Parsonage Museum. I'll be traveling there for my first visit before long, and I feel that watching To Walk Invisible has deepened my connection to the artifacts and stories I'll find there.